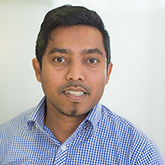 With more than 10 years in the facilities management industry, Dihan has gained a strong knowledge of all aspects of facilities services, including asset management, essential services, security, compliance and sustainability. Prior to Danihers, Dihan held roles at Fed Square Pty Ltd, CBRE, Investa Property Group and Schindler Lifts. In his free time, Dihan travels the world watching cricket and playing the trumpet in a Sri Lankan Papare band. He has been fortunate to combine his love of music and sport playing the trumpet at various cricket and football games.